When choosing a contractor to repair or replace your roof, you want to choose a company with decades of industry experience and that specializes in the type of roofing you want. For customers in the Towson area, particularly in historic districts, it can seem overwhelming trying to find the right company to hire. Luckily, Roland Slate Service Company is here to make the process easy and stress free. 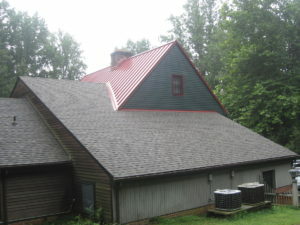 We specialize in the service and installation of many different types of roofing, including classic options like slate and copper, giving us a leg up over many other roofing companies in the area. Thanks to our dedication to excellence in everything we do, we have amassed a broad network of satisfied customers in the area, and we would love to add you to that group. While other roofing companies in the area may offer short-term labor warranties – or worse, no labor warranties at all – we stand by the work of our expert craftsmen with comprehensive warranties to guarantee the quality of their work. We are even able to offer extended workmanship warranties on certain shingle roofing projects, thanks to special certifications from the manufacturer. Unlike many roofing companies who will just treat you like another number, we take the time to get to know you in an effort to provide the best possible customer service – the kind that only a family-run company can provide. To learn more about what makes us stand head and shoulders above other roofing companies serving the Towson area, contact Roland Slate Service Company today.